Hello lovelies, can’t say how thankful I am of the Shine On Award nominations. It took some time, sorry ladies for that. I’ve been nominated by three amazing, talented and lovely girls: Jacqui over at Craftynail,Kerri from Lady Lacquer and Kelley from deliciously unpolished. 1. 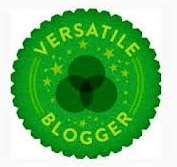 Display the award logo to your blog. 2. Show appreciation by acknowledging the blogger who nominated you and link back to them in your post. 3. Share 7 random, interesting things about yourself. 4. Nominate 15 bloggers you admire and would like to pass this award to (making sure to link to their blog in your post). I absolutely love rats. I think they’re amazing little critters and when I’m getting my own permanent place, I will get a few for sure. Tea, it’s all about tea – green, white, black, fruit.. If it’s black or green, it will be with milk and honey. I am a blood donor and do hope that my blood will help someone somewhere out there. Besides nail polish, I love shoes. Good thing that I’m still a student 😀 otherwise I probably wouldn’t be able to fit them anywhere. When I feel sad or lonely, I go by the seaside. It always calms me down and somehow helps me to clear my mind. Sometimes I wonder what would happen if I’d put my leg infront of the person whose eyes are glued to their phone when walking on street. Yes, I am evil like that. I find people like that extremely annoying. And now is my chance to pass this on to some of the lovely bloggers. Too bad there’s only 15 spots to give.. 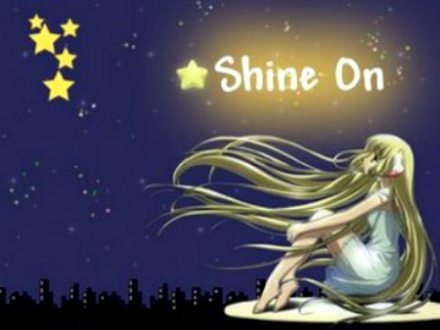 This entry was posted in Awards and tagged Awards, Shine On. Bookmark the permalink. Awesome :). They’re really intelligent too. hehe trip ’em! that’s what they get! j/k! but not really. wait.. yes, I’m kidding. ish.